Our goal during Qi Gong Chi Kung training at our Melbourne school is to practise, train and develop ones awareness of Qi or as it is often referred to as one’s life force. Qi Gong exists in many different manifestations however the most common practise of Qi Gong involves meditation combined with various stretching and strengthening exercises. 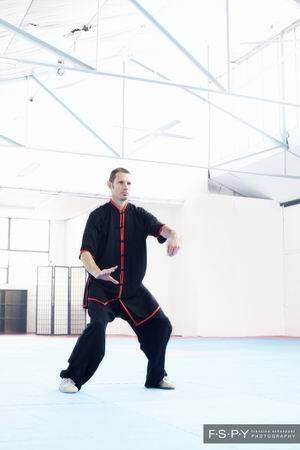 Qi Gong practice can also be described as ‘internal training or internal stretching’, and the Martial Arts systems that incorporate a Qi Gong component, are often referred to as ‘Internal Martial Arts Schools’. Chi Kung is another name for Qi Gong and at our Melbourne school it is practised to improve and harmonise your mental and physical health allowing you to have a sense of internal balance. 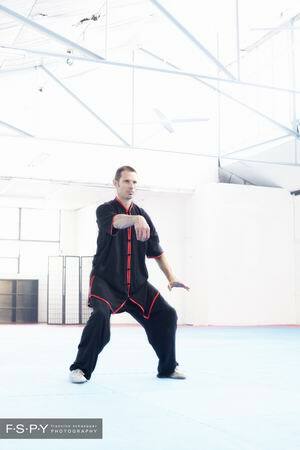 It is also essential and an integral part of building a solid foundation for all Chinese Martial Arts training. 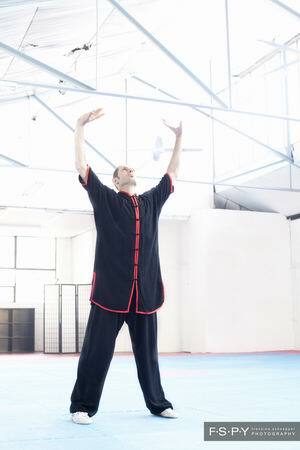 Our practice of Six Harmonies Chi Kung or Qi Gong has been passed down through the Zi Ran Men (Natural Boxing) system. It has been cultivated and practised over many generations by Masters throughout the lineage. Shifu Stuart Holdsworth is a disciple and follower of Qi Gong and practices traditional Shaolin Qi Gong sets within the Six Harmonies system in Melbourne. The philosophy at Six Harmonies Martial Arts and in the tradition of Chinese Qi Gong we always encourage relaxed and natural practice. Five Element Qi Gong / Chi Kung Classes - The Daoist’s believe that there are five basic energies which make up the universe. These five elements are also found within the body and relate to specific organs. Five element Qi Gong is a Qi Gong set, which works to balance and purify these elements within the body. Qian Ba Zhuan - ’1008 Movement Qi Gong’. A Qi Gong or Chi Kung form unique to Six Harmonies, this Qi Gong set is designed to stretch the tendons, stimulate and improve the flow of blood and Qi, and to lighten the body. - A traditional Shaolin Temple Qi Gong form named Ba Duan Jin (Eight Brocades of Silk) is a set of eight individual postures that combine together to help regulate internal organs and to improve yin & yang balance to the body.